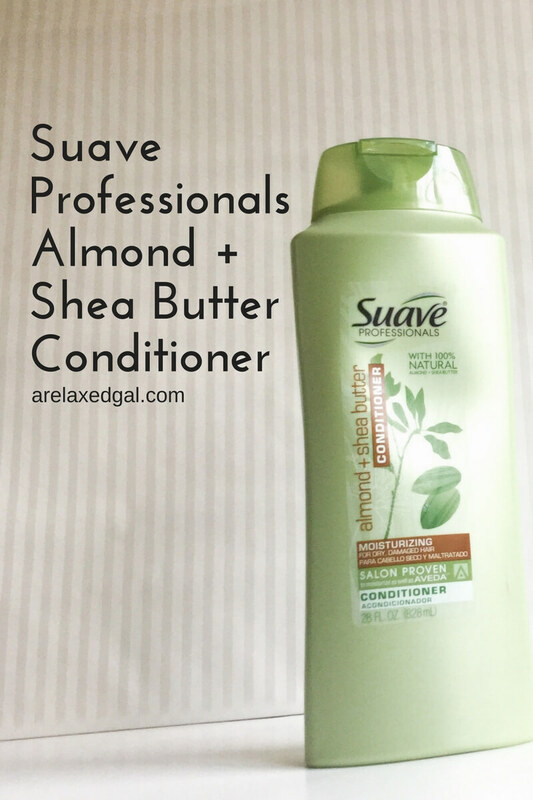 The Suave Professionals Almond and Shea Butter Conditioner is one I've seen so many hair bloggers, especially relaxed hair bloggers share reviews on. A lot of the reviews were good reviews, but they hadn't convinced me to run out to the store to buy the conditioner. That is until I needed a substitute for the Suave Natural Infusion Moisturizing Conditioner with Macadamia Oil and White Orchid. I ran out of the conditioner and went to multiple stores several times to repurchase the Suave Natural Infusion Moisturizing Conditioner but to no avail. So far I've been using the Suave Almond & Shea Butter Conditioner on my relaxed hair as a pre-poo and rinse out conditioner. With either type of use I haven't noticed any difference in the moisture it provides versus other rinse out conditioners I've used. After using it for several wash days I don't see this becoming a staple product for me, but it's a good backup to the Suave Natural Infusion Moisturizing Conditioner with Macadamia Oil and White Orchid. "Suave Professionals Almond and Shea Butter Conditioner replenishes and leaves your hair well nourished and beautiful. Infused with almond and shea butter, known for their rich emollients, this Hair Conditioner is a moisturizing conditioner." "Apply. Leave on for 3 minutes. Rinse. 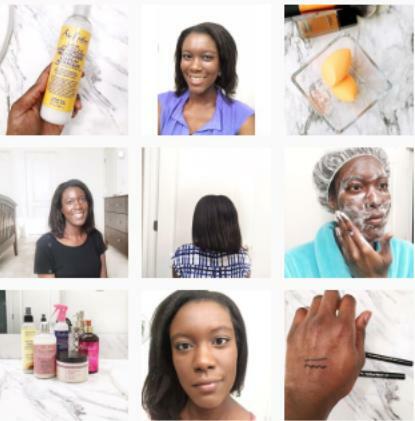 Use with Suave Professionals Almond and Shea Butter Shampoo." "Water (Aqua), Cetearyl Alcohol, Cyclopentasiloxane, Stearamidopropyl Dimethylamine, Prunus Amygdalus Dulcis (Sweet Almond) Oil, Butyrospermum Parkii (Shea Butter), Simmondsia Chinensis (Jojoba) Seed Oil, Aloe Barbadensis Leaf Juice [Aloe Vera], Cymbopogon Schoenanthus Oil [Lemongrass], Rosmarinus Officinalis (Rosemary) Leaf Oil, Chamomilla Recutita (Matricaria) Flower/Leaf Extract, Lavandula Angustifolia (Lavender) Flower Extract, Dimethiconol, Behentrimonium Chloride, Fragrance (Parfum), Dipropylene Glycol, Potassium Chloride, Lactic Acd, Disodium EDTA, TEA-Dodecylbenzenesulfonate, PEG-150 Distearate, Methylchloroisothiazolinone, Methylisothiazolinone."